Tape together pieces of butcher paper; because you need it larger than the mattress space. No one wants to buy a custom boat mattress twice because they got the size wrong. This lets you skip measuring everything and trying to get the angles or curves right. Trim your large piece of paper to fit the space. Follow the curves carefully. I like marking the edges with a sharpie, and then cutting outside where I have more room. If you’ve got plenty of work space, handle it right there. Double and triple check the fit. Take your cut template to the space, and verify the fit. It’s a custom mattress; therefore, if the builder matches the template, it’s your mattress. Pick a company that can make you a custom boat mattress. We are one of the great options (in my humble opinion), but not the only choice. 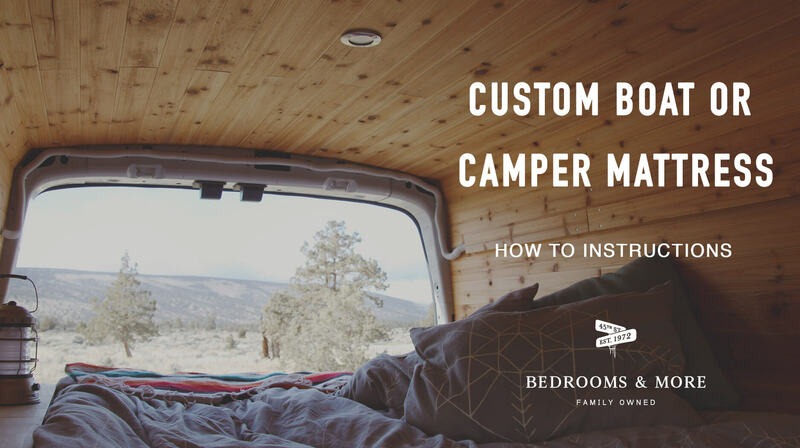 Most of our beds can be made in any custom dimension. The ability to choose your comfort and price from a broad selection is valuable. Because we have 40+ customizable options, you’re sure to find an bed to fit your preference. Bring your template to the store of your choice, and pick a mattress. Plan on 2-4 weeks for your special mattress to be completed. Now you wait. With us it won’t be long. Whether you’re looking for a coil mattress, or foam, you can get it. Our favorites are the latex foam mattresses with Botanicore™ latex. The natural mattresses have made us famous; so has our two-sided flippable approach. Special sizes are easy. Just follow the steps. This entry was posted in Latex Mattresses, beds, Mattress, Mattresses Seattle, Seattle Blogs and tagged Custom mattress, Special Size.